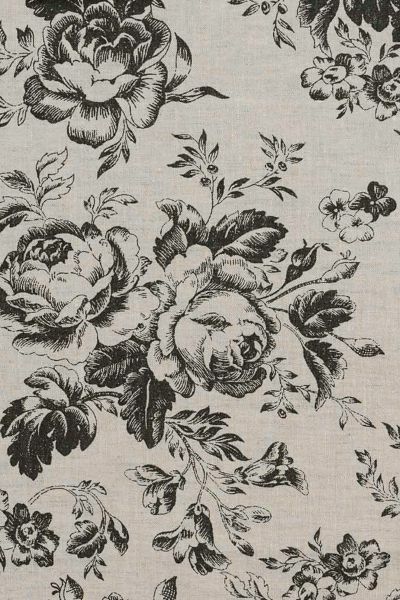 A fetching and elegant beautifully drawn print in bold black on a natural coloured linen ground. With full blown roses interspersed with delicate foliage. Please note that it takes approximately 4 weeks from confirming your order for your fabric to be ready to dispatch.